Of the almost 14,000 alternative uses salt has, we have chosen some new tips you can rely on when you need help the most. 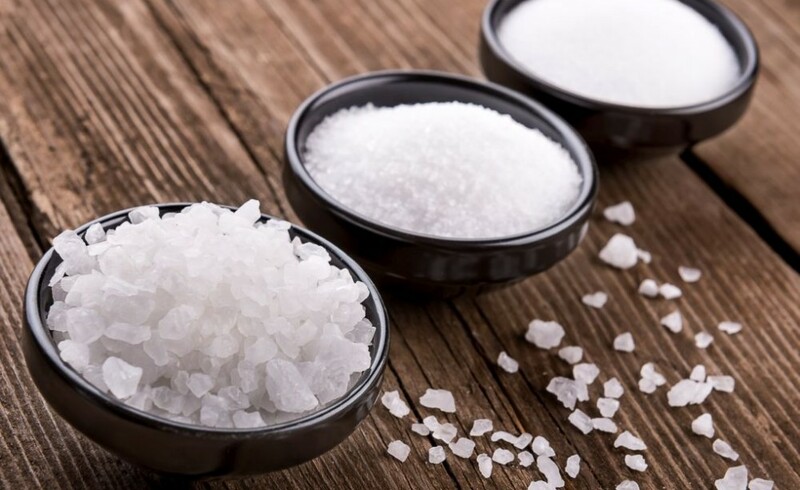 From cleaning to health, but also showing other examples, we see how salt takes its multifunctional role seriously and turns into an effective solution in entirely different situations. So here is what to do with salt outside the kitchen. Let’s start with those uses which have an impact on our health state. Since it’s the cold and flu season, here is an easy solution for those with a sore throat. Mix ½ teaspoon of salt and about 250 ml of warm water and use it as a gargle for sore throats. The same 1/2 teaspoon of salt mixed in a pint of water (almost half a liter) and use the solution to bathe tired eyes at the end of a busy day. If your eyes are swollen because you didn’t get much sleep over night, then mix one teaspoon of salt in a pint of hot water and apply pads soaked in the solution on the puffy areas. Soak aching feet in warm water to which a handful of salt has been added. Relax for about 15-20 minutes and then rinse in cool water. In the same context, at the end of a hard day, soak relaxed for at least ten minutes in a tub of water into which several handfuls of salt has been placed. At the end, for a stimulating facial, mix equal parts of salt and olive oil and gently massage the face and throat with long upward and inward strokes. Remove mixture after five minutes and wash face. Here is a solution for those who have to go through the frequent process of cleaning a fish tank. Alt is again an easy, quick and cheap cleaning solution. To remove mineral deposits from hard water in your fish tank, rub the inside of the tank with salt, then rinse the tank well before reinstalling the fish. Use only plain, not iodized, salt. Last, but not least, in winter, keep a small cloth bag of salt in your car. When the windshield and other windows are wet, rub them with the bag. The next time you go out to your car, the windows won’t be covered with ice or snow.